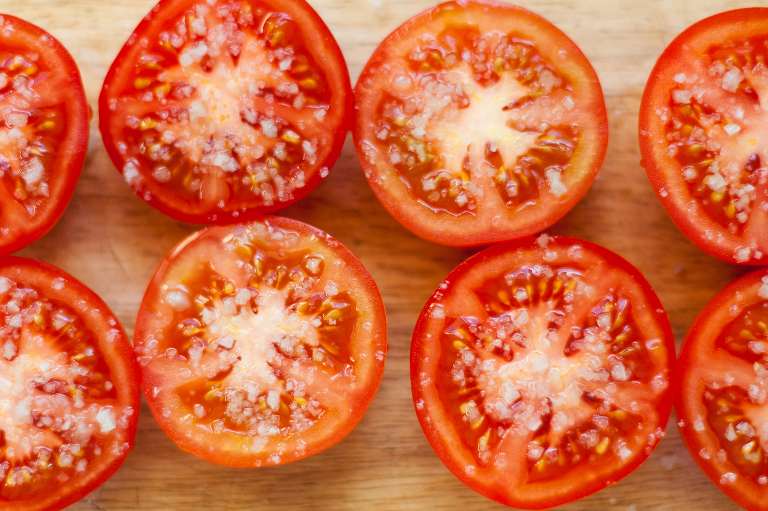 Tomatoes are a fruit I have a love hate relationship with. Whether it be pasta or pizza, I’ll always choose a cream base. But every so often, I come to admit that they have their place and they’re actually quite tasty. In the last couple years, I’ve even opted to buy cherry tomatoes, just to snack on (how did that even happen!?) 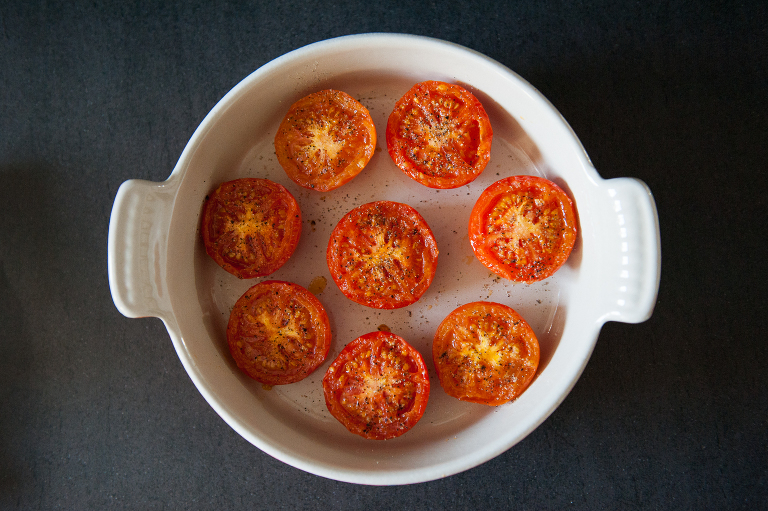 But one dish or appetizer that gets me every time is Provençal tomatoes. Perhaps it’s that I started an herb garden in my parent’s backyard as a kid and have kept one ever since, or maybe it’s the dose of garlic and the breadcrumbs that get all toasty and tasty after their visit in the oven. 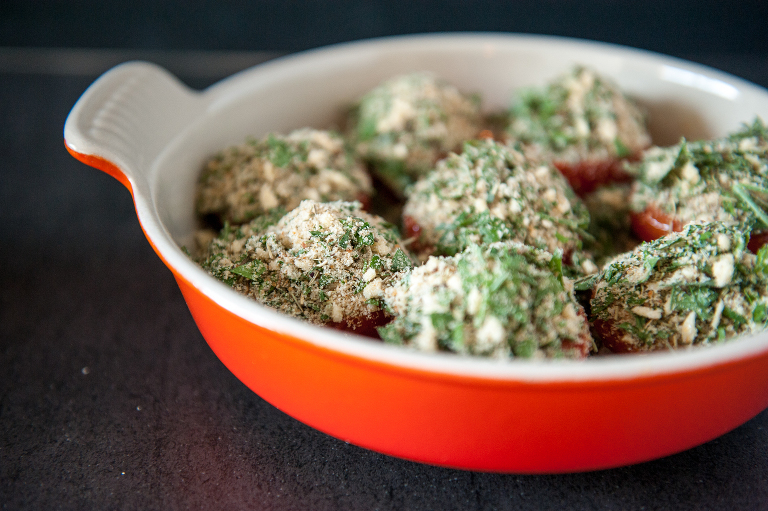 Whatever the case, I always want more and so if you’ve never tried them, I think there’s no better time than right while tomatoes are in season. So pick some out of your garden, or head on over to your local farmers market and whip up a batch. Let me know what you think! 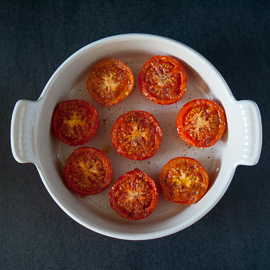 Cut tomatoes in half and salt cut sides and then place them upside down on a plate for 15-20 minutes to let some of the water drain out.